While summer doesn’t officially end until September 22, 2018, Labor Day is often considered the last unofficial day of the season. Many retailers hold their final summer sale around Labor Day, giving them an opportunity to offload summer-related items before the end of the season. Specific product categories usually go on sale at the end of summer. This means savvy shoppers can find great summer sale bargains on a range of household goods, clothing, and even back-to-school items. Understanding which categories are typically part of the last summer sale of the year can help you save big at the checkout counter, even when you shop online. If you are ready to scoop up a bargain, here are some items that usually go on sale this time of year. Mattress sales often coincide with major holidays, and Labor Day is no exception. Large chain retailers typically make multiple mattress brands and styles available at discount prices as part of their last summer sale. This includes mattress-specific chains as well as department stores that sell mattresses. Additionally, online-only stores like Overstock also reduce prices on mattresses this time of year. This increases the amount of competition, so the discounts can be very large. In some cases, you may find discounts at or above 50 percent, so keep your eyes open if you need a new mattress. Most people purchase patio furniture and grills near the end of spring and beginning of summer. Since the barbecue season is coming to a close, retailers want to get these items out of their inventory as quickly as possible. Summer sales often include discounts on outdoor furniture, grills, and even gardening tools. Swing sets and outdoor play equipment also have lower prices. If you need to replace any of these goods or want to prepare for next summer, buying these items now can help you save big. Another category that typically goes on sale near Labor Day is major appliances. This includes items like refrigerators, ovens, and even washers and dryers. Stores like Best Buy, Lowe’s, Sears, and Home Depot commonly have substantial appliance sales near the end of summer. Discounts can reach 30 percent off or higher, and you may even get free delivery and removal of your old appliance. End of summer sales are also common at auto dealerships. Usually, the new model year hits car dealer lots in the fall, so they want to get rid of any older models before the new ones arrive. For example, the 2019 cars, trucks, and SUVs will start becoming available at dealerships in the fall of 2018. This means you may find great deals on new 2018 and even remaining new 2017 vehicles as part of a summer sale. If you really want to score a deal, also shop for a new car at the end of the month and later in the day. Usually, salespeople are working to meet their monthly sales quotas as the month closes and may be more willing to reduce a vehicles price near the end of the day so that they can finish up the deal and head home. While the biggest TV sales usually happen in November, some retailers begin making room for the new model year as early as September. This means you can find discounted televisions as electronics retailers and department stores, making it a decent time to shop for a TV. However, if you want to score a real bargain, you may need to wait until October or November. Just keep in mind that Black Friday competition can be fierce for electronics, so you can always take advantage of sale prices now if you want to avoid the hassle. Since cooler weather is on the horizon, you can find great discounts on summer attire. Stores are working to clear summer clothing and shoes out of the inventory, ensuring they have room for fall items. Tank tops, shorts, summer t-shirts, sandals, bathing suits, and similar items might be available as either part of a summer sale or on clearance racks. Either way, you can purchase a number of items at great prices. If you want to make the most of these bargains, look for shirts that can be layered under fall jackets, cardigans, or flannels. Then, you can keep using these pieces even when the weather begins to turn. Additionally, you can always buy shoes and clothing for next summer, letting you save money now while building a great summer 2019 wardrobe. Just make sure, if you are shopping for your children, that you consider buying larger sizes than they need today. That way, if they have a growth spirt, everything will still fit. Since school is either in session or will be soon, many retailers are starting to put office and back-to-school items on sale at the end of summer. This can include anything from pens and pencils to computers and printers, so keep your eyes open for bargains. It is important to note that office and back-to-school supplies might not be at their cheapest yet, as they might not go on clearance until early fall. However, there could still be great deals to be had, and you’ll have a better selection than if you wait. One category that typically goes on sale at the end of summer that may surprise you is wine. Often, wine retailers are preparing for the new harvest to come in, so they may discount select wines to make room. Check at your local retailers, liquor stores, and even wineries to see if they are holding a sale. Discounts can vary, and not everyone offers one, but you may be able to save 20 percent or more on your favorite wines. Most people complete outside painting projects during the summer. As temperatures cool, many exteriors paints go on sale, allowing you to save big if you need to repaint your house, fence, or outdoor furniture. Home improvement stores, paint retailers, and even department stores like Walmart may have a summer sale on paint, so consider shopping around if you really want to find a bargain. Usually, the announcement of the newest iteration of the iPhone comes out in the early fall. This means you can get the current model for less near the end of summer because cell phone retailers are preparing for the new model. Once a new iPhone model goes on sale, the previous version is always discounted since it is no longer the latest and greatest option. As long as you are okay with being a model year behind, you can save big by purchasing the device after the announcement. Ultimately, end of summer sales are a great time to find bargains in all of the categories above. If you want to save big, start keeping your eyes open for sale flyers, particularly as Labor Day approaches. Do you know about any other great summer sales? If so, let us know in the comments below. If you’re like me and trying to save every penny you can, you’ve probably noticed the prices of items you buy regularly climbing in recent years. For me, one of the most astonishing price increases has been in health & beauty. Think about it, people pay tons of money to get their hair done, remain hairless and, of course, have a perfectly contoured face. 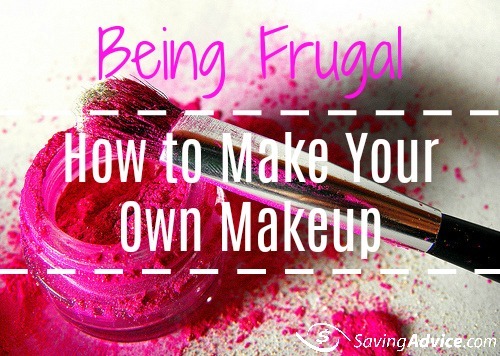 This got me thinking about how to make makeup to save a bit of cash. You may not believe that the price of makeup really makes a difference but it does. According to The Financial Diet, many women spend anywhere from $50 to $150 a month on their beauty regimen alone. That’s not really surprising when you think about the cost of individual items though. A tube a lipstick, for instance, usually runs about $10. Then there are companies like MAC and Sephora whose name on the product makes it practically twice as expensive. So, what’s a girl to do? Making foundation is a lot easier than it would seem. I use a recipe from One Green Planet that is amazing. You start by using arrowroot powder (only about $4 for a bag that will last a while). If you’d prefer to leave your foundation powder you mix it with pigment powder ($1 to $20), also known as iron/zinc oxides, until it is the shade you need. I prefer my foundation to be liquid, however. So, if you want liquid foundation you’ll also need liquid moisturizer (face friendly), which only costs a couple bucks. Overall, making your own foundation will cost you $10. While that may not seem like it’s much cheaper than some foundations in the store, you’ll use these items for months and months before having to stock up again. Eyeshadow is one of the more fun things to make, if I’m honest (coming in second to lipstick). If you’re crafty enough you can make shades that aren’t available in stores and all your friends will want to know where you got it. When you tell them you made it they’ll never believe you! All you need to make your own eyeshadow is colored powder (which you can find online for as little as $2). If you’d like for your eyeshadow to stay on longer/be darker, add a little water to your applicator before applying. You can also mix/match colors. If you’d like to remain more natural you can also use things like cinnamon and cocoa powder to make eyeshadow as well. Making your own eyeshadow can save you hundreds if you normally buy higher-end products. Blush is similar to eyeshadow in that you’ll need pigment/colored powder. All you’ll need to do is mix the powder you get (you can use cinnamon instead if you’d prefer) with your arrowroot powder and viola! You’ve got blush. Making your blush instead of buying it in the store can save you about $20 per blush purchase (on average). When learning how to make makeup I didn’t think I’d be able to make eyeliner at first but it isn’t all that hard once you get the hang of it. The best thing about making your own eyeliner is that you can make any color you want. You can use your colored powder that you’ve purchased for other makeup endeavors and simply mix it with water and a little oil or aloe to create a gel. Once you have you can apply it with an eyeliner brush like you would a store-bought product. Making your own eyeliner will save you, on average, about $20 per eyeliner cycle. Making your own lipstick or lip color was my favorite part about learning how to make makeup. I’ve always adored those “stand out” lip colors so being able to create my own is fun. There are a couple methods you can use to make your own lipstick but the one that has worked best for me is the “Vaseline method.” You buy a tub of Vaseline (as low as $0.99) and mix a small amount of the powder color you want for your lipstick. You can do this with leftover eyeshadow, broken eyeshadows and blush, and even Kool Aid to create whatever color lipstick you want. This can save you a TON if you love lipstick. Most stores charge $10 or more for lipstick, whereas making your own you’ll only spend a couple bucks and have limitless color possibilities. e.l.f. – When I buy makeup I buy e.l.f. brand items. They don’t test on animals, which is a plus for any animal lover AND their products are super cheap but still good quality. NYX – NYX is a brand usually seen in drugstores like CVS or Walgreens that usually gets overlooked but it’s actually a fairly good (and cheap) makeup brand. 2b Colours – It’s hard to pass up 2b Colours on the shelves with their colorful packaging. However, if you’ve not tried them out, 2b Colours is another great, cheap makeup brand that budget makeup lovers should give a try. Learning how to make makeup or seeking out cheaper makeup brands are both great ways to try and save more money, which is always a great thing. Do you have any other tips you’d like to share? Let us know in the comments! We Love Frugality, But Are We Actually Saving? Frugality seems to be of increasing interest among Americans. However, whether or not we are actually following through is up for debate. It is not surprising that articles about frugality draw so much attention; after all, who doesn’t want to have financial freedom? It is motivating to hear that even celebrities like Hilary Swank clip coupons. And we are sure that many aspiring millionaires look up to Warren Buffet and his modest lifestyle and financial decisions. But the problem that appears to be present is that, despite reading all these great stories of individuals living well below their means, we still have a hard time taking action. Why is this? Let’s weigh in on the issue. 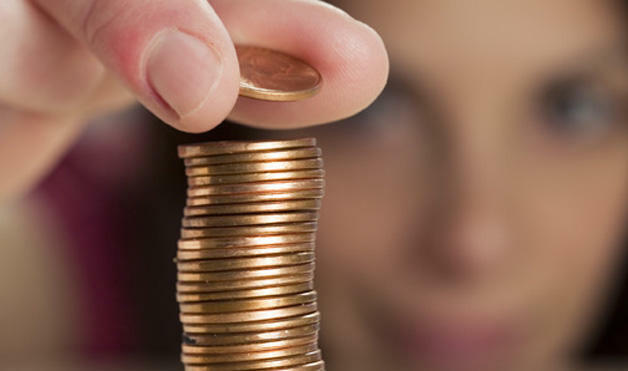 Although it seems things are looking up following the financial crisis of 2008, the average savings rate in the U.S. is still low. In 2005, we had a low savings rate of 1.9 percent but moved up to roughly five percent in recent years. While the jump appears positive, it is, in fact, still terribly low. The recommended average amount one should save from their income is 20 percent, and at this rate, five percent is not nearly enough for a nice and comfortable retirement. Sadly, 69 percent of Americans say they have less than $1,000 in their savings account and 34 percent say they have $0, according to this GoBankingRates 2016 survey. These numbers exist despite the fact that there has even been an increase in personal income and decrease in spending for durable goods, as shown here by the Bureau of Economic Analysis. So, what’s happening? It is no secret that the recession put a dent in our economy, but you would think such an event would prompt Americans to always be thinking ahead. The 2014 Consumer Sentiment Survey from McKinsey&Company states that 40 percent of consumers surveyed were challenged with living paycheck to paycheck, which was up from 31 percent in 2012. Those making $75,000 and less annually seem to struggle the most with saving and have a hard time thinking about anything else other than day-to-day needs. Additionally, regardless of whether low-income or upper middle class, online shopping makes it easier to spend more than ever, adding to the problem of living outside of our means as a society. We are in an age of instant gratification. Not just that, but investing changed with the financial crisis. Individuals not only lost trust in the stock market, preventing them from making their money go further, but also are waiting to invest until later in life. This can be seen primarily in millennials. The other side of the argument says that we are actually spending less and saving more, adding that this is a problem for the economy. Despite that our savings rate is still low, the spending is too. This side of the conversation also points out the fact that regardless of this low savings rate, we are, in fact, starting to save more due to worrying about the economy. 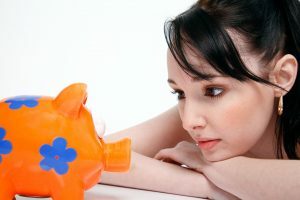 In that same Consumer Sentiment Survey, the results showed that only 23 percent were optimistic about the economy while 31 percent were not making purchases due to uncertainty about the nation’s resources and 39% were “somewhat or very worried about losing their job.” Because of this, consumers have been buying less name brand items, thrift shopping more and looking for even more ways to save. Of course, opinions do vary, but concern still lies in that average five percent savings rate, which is a bit of a decline from the 1970’s as shown in this graph. One might say the availability and easy accessibility of credit from the in the following decades is mostly to blame, but that is a conversation for another day. So, what do you think? Do we actually love frugality, or do we only enjoy the thought of it? Do you believe we are starting to save more?